This beautiful mug in the Argyll shape features a mesmerising design by Caroline Bessey, and is perfect for enjoying a long coffee. 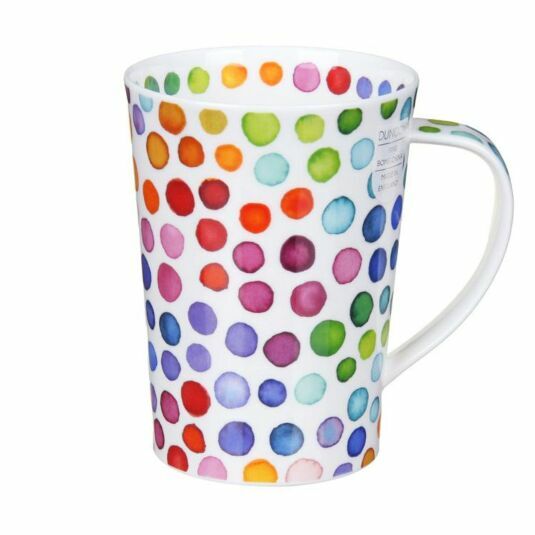 Featuring a pattern of vibrant multi-coloured spots painted in a watercolour style, the mug is one of several in the range, all of which feature colourful and striking patterns. 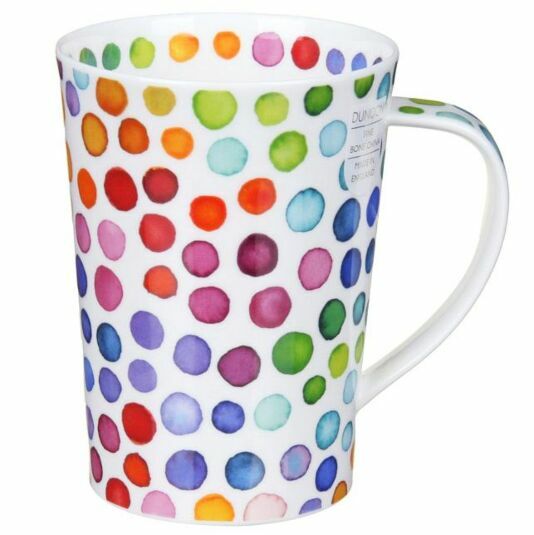 The pattern also features on the handle of the mug, as well as on the inside of the rim, making this an ideal mug for enjoying a frothy latte. The bright colours will enliven the kitchen!